Jak’s View: Follow Up To Fets Whiskey Kitchen Raid – Why Did It Happen? 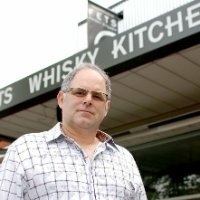 As I reported earlier, and has been widely reported since, Fets Whiskey Kitchen on Commercial Drive was raided last week and $40,000 worth of bottles were seized by agents of the BC government. At the time there was some mystery as to why this had happened, but the reason has now been made clear — they were purchased from private liquor stores (which had purchased them legally from the BC Liquor Distribution Branch) rather than from the BCLDB directly. All required taxes had been paid but these bars are only allowed to buy their liquor from the BCLDB — even though the BCLDB won’t sell them these particular whiskeys. It is worth repeating that all required taxes had been paid. In other words, this is all about the bureaucratic nonsense that is BC’s liquor laws. Apparently bars and clubs have been buying from private liquor outlets for years and liquor inspectors have allowed it to go on. Now, suddenly, the Ministry under David Eby has decided to stamp down on the practice. They could, of course, have changed the law so that BCLDB could sell these whiskeys to the bars but no, they wanted to play the heavy instead. However, as the same article notes, the raids have done nothing to enhance BC’s image as a tourist friendly Province. Perhaps more importantly for locals, Eric Fergie of Fet’s notes that his small business could suffer badly. Eric and Allura Fergie have been mainstays of Commercial Drive business since opening their original Fettucini’s Cafe in 1987.